Organizing the annual holiday work party can be a lot of fun if you approach things the right way. Like all event planning projects, the primary focus should be on the attendees. When your guests have a great time the event will be remembered as a success, regardless of any details that were accidentally overlooked . And the nice thing about holiday parties is that everyone wants to have fun, so all you have to do as the planner is keep the positive vibe flowing. Here is a list of ideas and activities that will help you do just that! This is a simple game that is guaranteed to get some laughs. Secretly ask one of your co-workers if they would be willing to wear the Santa suit. During the event introduction, have Santa come in the room and deliver gifts or make a brief announcement. Then, while Santa is on stage, ask the audience to raise their hand if they think they know who it is. You can offer a prize as a reward or just enjoy the funny responses. Here is another idea that you can incorporate with any size group. Extra vacation days and gift certificates are always crowd pleasers. As far as awarding prizes, you can either do a straight drawing or add more interaction with a game like guessing how many candy canes are in the jar. Spice up your catering selections by featuring an international menu. 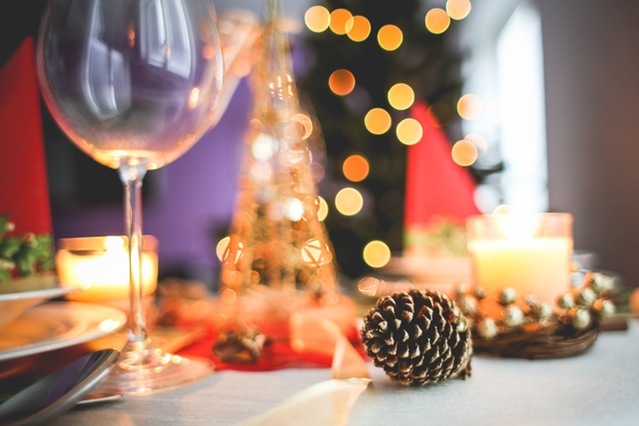 The most popular options are always Mexican, Italian and Asian foods, but don’t overlook traditional Christmas cuisine from places like Finland, Sweden, and the Philippines. I don’t normally recommend pot lucks because they can be disorganized and messy, but a homemade dessert table typically works well for everyone. You should probably add a few basic parameters like a registration form to ensure you get enough participants and variety. Another way to build the excitement is to add nomination forms for the best dessert. Celebrity appearances always lift the spirit of the audience, so if you have the budget then this might be a fun option. A short 10 to 15 performance by a comedian or musician is enough to play to the crowd without annoying those who aren’t interested. Other celebrities like actors and athletes can also be fun, but make sure you have a plan for how they will engage with the audience. You don’t want to drag the party down with a 45-minute speech. It is much easier to incorporate funny gifts than traditional presents when you are working with a wide range of personalities. Some popular ideas for gag gifting include finding the worst gift under $5, or having a mystery draw of wrapped gifts where only a few items are actually worth keeping. Just be sure to keep it clean or you will find yourself in the HR office on Monday! Let Pez Productions help you create an enjoyable holiday experience that’ll help build a sense of community among employees both during and after the event. Pez Productions offers entertainment services that will provide fun, entertainment and play music your guests are certain to love! We always supply top-of-the-line sound systems, intelligent lighting and professional DJs. In addition, we are able to create a custom mixed CD made specifically for your event. Be sure to add this number to your planning call list: 403.701.6062.